David Jowers, age 71, passed away Monday, November 26, 2018, at North Mississippi Medical Center in West Point, Mississippi. David was born November 10, 1947, to William and Ludie Mae Slawson Jowers. He was a 1965 graduate of Nanih Waiya; he then attended East Central Junior College and graduated as a licensed electrician. He worked as an electrician in both residential and commercial fields. 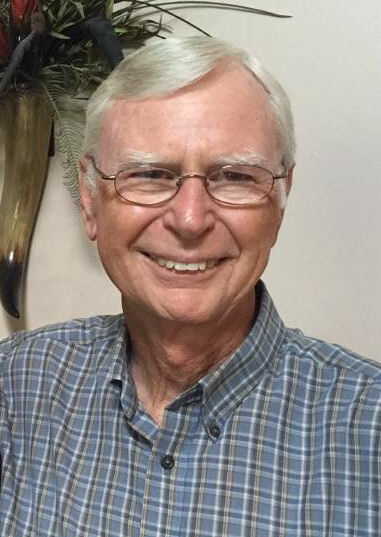 David was a quiet, gentle Christian man who served as a deacon at both Faithview Baptist Church in Raymond, Mississippi, and Selmore Baptist Church in Ozark, Missouri. He presently attended Wess Chapel Baptist Church in Louisville. In 1987, David married Brenda Kay Jones instantly becoming a father to two sons, James and B. J. Jones. They moved to Ozark, Missouri, in 1991 and resided there until retiring and returning to Louisville in 2012. David is survived by his loving wife of 31 years, Brenda Jowers of Louisville; his sons James Jones and wife Jovelyn of Byram, Mississippi; and B. J. Jones of Bruner, Missouri. He is also survived by two sisters Joyce Sykes of Louisville; and Martha Jacobson of Ocala, Florida; as well as two sisters-in-law Gladys Jowers of Louisville; and Leila Jowers of Glen Allen, Virginia. One of his greatest joys was his four grandchildren: James (Skylar) Jones III; Robert Jones; Joseph Jones; and Hunter Jones. He was preceded in death by his parents; four brothers: John, Curtis, Warren, and Charles Alton Jowers; and his sister Jewell Ricks. Memorial contributions in honor of David may be given to St. Jude Children’s Research Hospital, Tribute Program, P. O. Box 1000 Department 142, Memphis, TN 38148-0142. Funeral services for David will be 11:30 A.M. Friday, November 30, 2018 in Selmore Baptist Church, Ozark, Missouri with Pastor Josh Hall officiating. Burial will follow in Selmore Cemetery. Visitation will be 10:30 A.M. Friday until service time in the church. Arrangments under the care and direction of Barnes Family Funeral Home, Ozark. Online condolences may be shared at www.barnesfamilyfunerals.com..